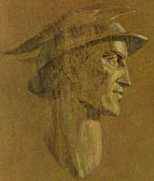 or Mercure (in french), it is initially the name of Roman God of the trade but also of the robbers and the travellers; then that of smallest of planets of the solar system, a molten metal, a place of the human ear, a founded French weekly magazine in 1672 and of a founded literary review in 1889, of an American programme of browsing of space..
MERCURY of Fo-Mo-Co product always of models today. Marks it the simplest to the most luxurious one finds in the <<Fo-Mo-Co>> Ford first, followed by Edsel, Mercury and Lincoln to finish. During the creation of marks it the objective was to fulfill the difference in 1938, the Ford DeLuxe Station Wagon V8 it dearest to$ 825 and the Lincoln-Zephyr coupe V12 the better price to$ 1295. This was a decision taken by Edsel Ford, the son of Henry. 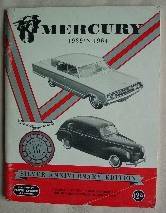 The first Mercury was assembled to Richmond in California the September 21th, 1938 and was sold October 8th; its first exposition had place a month later, November 4th, of the same year: model 1939, official departure year for the mark. Today they are assembled to Chicago (Illinois), Louisville (Kentucky), Kansas City (Missouri), Edgewater (New Jersey). De la marque la plus simple à la plus luxueuse on trouve à la Fo-Mo-Co, Ford d'abord, suivi de Edsel, Mercury et Lincoln pour finir. Lors de la création de la marque en 1938 l'objectif était de combler le fossé entre la Ford DeLuxe Station Wagon V8 la plus chère à $825 et la Lincoln-Zephyr coupe V12 la meilleure marché à $1295. Ce fut une décision prise par Edsel Ford, le fils d'Henry. La première Mercury fut assemblée à Richmond en Californie le 21 septembre 1938 et fut vendue le 8 octobre ; son premier salon eut lieu un mois plus tard, le 4 novembre de la même année : modèle 1939, année de départ officielle pour la marque. Aujourd'hui elles sont assemblées à Chicago (Illinois), Louisville (Kentucky), Kansas City (Missouri), Edgewater (New Jersey). Le plus célèbre modèle au cinéma sera sans nul doute celui utilisé par James Dean dans son premier film <<La fureur de vivre>> (Rebel without a cause). is a compact car, the first of Mercury and so of the american car industry: the length is less than 200 inches and the width to approximately 70/75 inches, using the Ford Falcon as basis, the former shorter again. 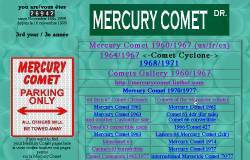 COMET appears March 1960 until fine 1969.One associates it sometimes to Cyclone (Comet Cyclone) of fall 1964 to fall 1967. Years 1968 and 1969 comprised only the coupe hardtop called Sports Coupe Comet and treaty in full size> on the basis on the Ford Fairlane. Departed in 1970, the name of COMET will reappear in 1971 for <<Ford Maverick like>> at least until to 1977. A Comet 1964 station wagon is present in a film distributed on French Canal + TV early 1998 and on spanish TVE1 fall 1998: it's call <<the war>> of Jon Avnet with Kevin Costner. The film dates 1994 but the action passes in 1970.
another Comet station wagon but villager is quickly present in the film (1971) of Clint Eastwood "Play Misty for me"
Disparu en 1970, le nom de COMET réapparaîtra en 1971 pour <<cloner>> les Ford Maverick au moins jusqu'en 1977. CALIENTE replace S22 denomination in 1964 to represent the best finish. CALIENTE remplacera cette dénomination en 1964 pour représenter la meilleure finition. correspondant à notre dénomination "berline"
+ woody = villager . correspondant à notre dénomination "familiale"
correspondant à notre dénomination "cabriolet"
all these models are defined in 6 seats except cyclone and S22 in 5 seats; in France seen the<< compact size ou middle size>> for us, we have all more reasonably defined in 5 seats. Aux USA, tous ces modèles sont définis en 6 places assises sauf les cyclone et S22 en 5 places; en France vu la <<middle size>>, ils sont tous plus raisonnablement définis en 5 places assises. c'est une réédition de 1951 donc nous ne sommes pas encore aux motorisations des années 60. Classic Car Books and amazon are goods adress to look for it.